ClockworkMod's Koushik Dutta is probably best known for his custom recovery, ClockworkMod Recovery, but he has other claims to fame too. 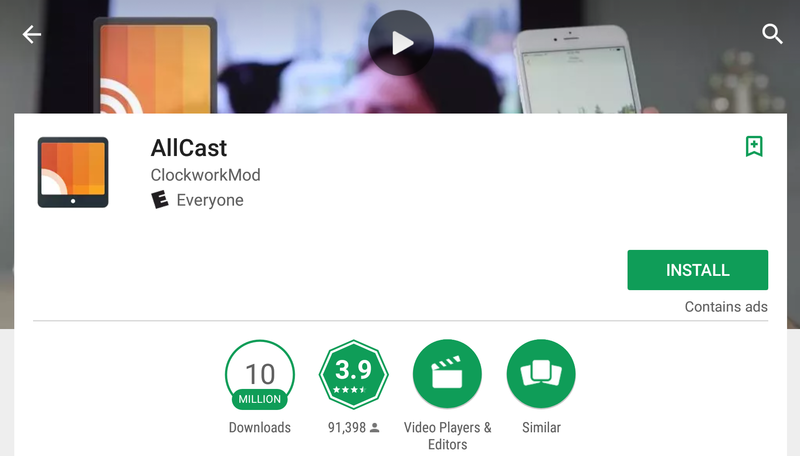 One of his most popular apps, AllCast, has just hit a whopping 10 million downloads on the Play Store. And to celebrate, he's giving away 100 AllCast Premium codes to Android Police readers. AllCast is an app that enables you to send media files, such as photos, music, and videos, from your Android device to your TV. Just pick a file to cast, and you'll see it on your TV virtually instantly. The free version has ads and limits viewing time to five minutes, but the $4.99 Premium license gets rid of all that. You can now win one. To win one of 100 free AllCast Premium codes, just leave a comment down below. You'll have until Sunday, August 13th at 11:59PM PT to get your comment in. Winners will be chosen on August 14th. Good luck!